We offer best-in-class Rapid Application Development to benefit from the tightly integrated and highly powerful FastReport technology. Reporting is a key part of software development, as no real-world application is complete without reports. When choosing a reporting product, a developer needs to consider two important factors. The first is that reports developed using the product should be easy to use and visually appealing to the end user. Additionally, the product should enable a developer to easily and quickly build reports for applications. 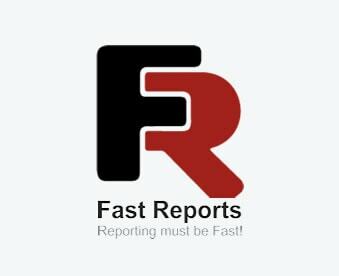 Fast Reports’ FastReport.NET satisfies these criteria and also ships with many features, including a lightweight report designer, which simplify development and let developers create reports very easily. The FastReport.NET designer doesn’t use Visual Studio to create reports, although you do need to use the development environment to connect the report from the application being developed. FastReport. NET framework is a full-featured reporting solution for Windows Forms, ASP.NET and MVC. It can be used in Microsoft Visual Studio 2005, 2008, Microsoft Visual Studio 2010 and 2012 and Delphi Prism. With FastReport.NET, you can create application-independent .NET reports. In other words, FastReport.NET framework can be used as a standalone reporting tool. A blank report in FastReport is presented as a paper page. At any place on the page, a user is able to add objects, which can display different information such as text and/or graphics, as well as to define report’s appearance. Access logs, Error logs etc. ANGLER’s expert team of FastReport.NET developors helps you to develop web applications rapidly with several advanced features for report generation. With FastReport.NET report generation tool, our highly skilled .NET developers create rich and compelling data presentation applications without depending upon the development environment. Contact Us today to know more about our Crystal Reports Software Development services or to hire our Crystal developers for your needs.